Welcome back to Christian world News. The Jesus film project has reached another milestone. The well known film has now been translated, has translated its 1700 language. The newest translation is in the Chekeholo language for people living in the Solomon islands in the South Pacific. a language they can understand. 예수님 영화 프로젝트는 또 다른 기록을 세웠습니다. 유명한 그 영화는 현재 천 칠백 개의 언어로 번역됐습니다. 가장 최근에는 남태평양에 있는 솔로몬 섬에 사는 사람들을 위해 치카이툴로라는 언어로 번역됐습니다. 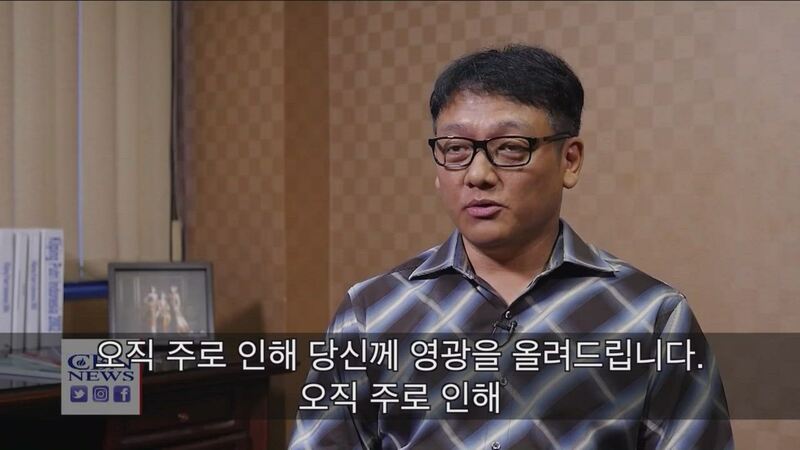 이 사역은 2025년까지 추가로 수십 개 이상의 언어로 번역할 계획을 하고 있습니다. 그들이 이해할 수 있는 언어로 예수님의 이야기를 보고 듣는데 도움을 주면서 말이죠. When a powerful earthquake struck Indonesia last month, one plane managed to miraculously take off just before it hit. The Indonesian pilot says his relationship with God helped him hear divine instructions that saved him and 148 passengers. Lucille Talusan brings us this incredible testimony. 지난 달 엄청난 지진이 인도네시아를 강타했을 때 한 비행기는 지진이 발생하기 직전 대참사에서 가까스로 탈출할 수 있었습니다. 인도네시아인 조종사는 하나님과의 관계 덕분에 하나님의 지시를 듣고 자신과 148명의 승객의 목숨을 구할 수 있었습니다. 루씨 탈루산이 놀라운 간증을 전해드리겠습니다. 오직 주로 인해 당신께 영광을 올려드립니다. he felt the urge to sing aloud. 상업용 항공기 조종사 리코시탐 마펠라는 독실한 기독교인으로서 비행하는 동안 찬양을 흥얼거립니다. 그러나 지난 달 지진과 쓰나미가 닥치기 직전에 더 크게 찬양해야 겠다는 충동이 들었습니다. “Because of who You are”. 하나님께서 “나를 찬양하고 경배해라"라고 말씀하시는 것 같았습니다. Captain Mafela said he saw nothing unusual as he approached palü that day other than strong winds that prompted a split decision to circle before landing. That delayed him landing by nine minutes. As passengers departed and Mafela prepared for his next flight, he heard the voice again. 마펠라 조종사는 팔루에 들어설 때 강풍 외에는 이상한 점을 느끼지 못했다고 말했습니다. 그때 그 강풍으로 인해 착륙 전 공중에서 회전할지 말지 의견이 나눠졌습니다. 그로 인해 착륙하는데 9분이나 늦어졌습니다. 승객들이 떠나고 마펠라가 다음 비행을 준비 했을 때 다시 음성이 들려왔습니다. Get out of this place. I mean depart early. Captain Mafela wondered if it was just his imagination or something else. Regardless, he obeyed what he had heard and took off three minutes earlier than the scheduled departure time. That decision literally saved him and his 148 passengers. 마펠라는 이것이 그의 상상이거나 다른 어떤 것인지 아닌지 궁금했습니다. 그럼에도 불구하고 그는 들은 것에 대해 순종했고 예정된 출발 시간 보다 3분 일찍 출발했습니다. 그 결정으로 그와 148명의 목숨을 구할 수 있었습니다. The quake start on the Donggala area, 1755, 5:55 pm. I push back at 5:52pm. The wave of the earthquake reached palü 7.4, 7.7 is just exactly after my lift. 동갈라 지역에서 지진은 오후 5시 55분에 시작됐습니다. 저는 5시 52분으로 시간을 늦췄습니다. 팔루를 강타한 지진은 진도 7.4으로 시작해, 제가 출발하고 바로 진도 7.7의 지진이 발생했습니다. Those three minutes were crucial. e was a hero. Unfortunately, he died due to internal Injuries. 마펠라의 비행기가 안전하게 이륙한 후 이 관제탑은 무너지기 시작했습니다. 강진 때문에 항공 교통 관제사인 안토니우스 어고는 어쩔 수 없이 4층 높이에서 뛰어내렸습니다. 불행히도 그는 내상 때문에 사망했습니다. At the time, captain Mafela and his passengers had no idea what was taking place below them. Later, Mafela realized his cellphone camera had captured a view of waves starting to form into tsunamis that struck central Sulawesi. 그때 조종사 마펠라와 승객들은 밑에서 무슨 일이 일어나고 있는지 몰랐습니다. 나중에 마펠라는 그의 핸드폰 카메라로 지진의 물결이 중앙 수라웨시를 강타한 쓰나미로 변하기 시작한 장면을 찍고 있었다는 것을 깨달았습니다. Those runway cracked behind me and the deepest around 1.5-2 meters. Behind the runway, that's where the liquefaction only happened on my departure time. 그 활주로는 제 뒤에서 갈라졌습니다. 가장 깊은 곳은 1.5미터에서 2미터 정도까지 파였습니다. 활주로 뒤는 제가 출발한 시간에 액화됐던 곳입니다. Captain Mafela is glad he listened and obeyed. 마펠라는 음성을 듣고 순종했다는 것에 감사하고 있습니다. Oh God, thank you so much. God reveals everything. If you are late just one or two seconds, it could be disaster. I don't need to prove that God is alive. I don't need to prove that God is here. I've seen it, it's more than enough for me. 하나님 정말 감사합니다. 하나님은 모든 것을 드러내십니다. 1분이나 2분 정도라도 늦었다면 끔찍한 일이 벌어졌을 것입니다. 하나님이 살아계시다는 것을 증명할 필요가 없습니다. 하나님이 이곳에 계시다는 것을 증명할 필요가 없습니다. 저는 직접 봤습니다. 저한테는 충분합니다. Lucille Talusan, CBN News Pulu Indonesia.